Bramasol is the Revenue Accounting and Recognition leader and a recognized SAP Revenue Recognition services partner for companies seeking to implement the ASC 606 and IFRS 15 standards. Our SAP-certified experts, participated in the majority of early product Ramp-ups and have worked on more SAP RevRec projects than any other company. We have the experience, expertise and tools to help your company get ready for the new standards in 2018. Bramasol is the first SAP Rev Rec expert to develop a proven methodology, RADARR, based on dozens of projects and is the leader in providing innovations and solutions for complex RevRec challenges. We are the first to offer a suite of tools and reports the will gather all the key data for your disclosure reporting into one place and has pre-built management reports to help you deliver insights that drive action. The current standards recommendations are a culmination of many years of deliberation, consultation, and work on the part of FASB and the IASB to harmonize the way companies calculate and report deferred revenue. SAP has been there since almost the beginning. 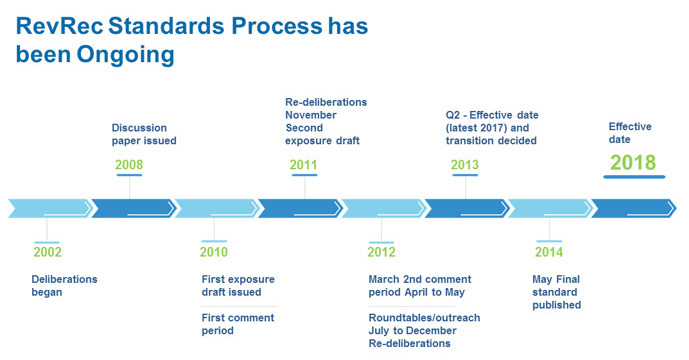 Starting in 2009, SAP has been at the table with participation from their chief accountant in recommendations, commentary and deliberation on the new standards. Click here for more Info on the Revenue Recognition standards. SAP and Bramasol are your source for the most robust and up to date solutions and we can help you prepare. To support customers with this new standard, SAP has completed a multi-year development effort and has created SAP Revenue Accounting and Reporting to be ASC 606 and IFRS compliant from the ground. Starting with the first release in 2015, SAP has continued to add features to address requirements laid out in the new regulations. The most recent release, SAP RAR 1.2 is designed to specifically address requirements derived from the new accounting standards particularly in the areas of costs, contract management, and data transition across various accounting principles, as well. 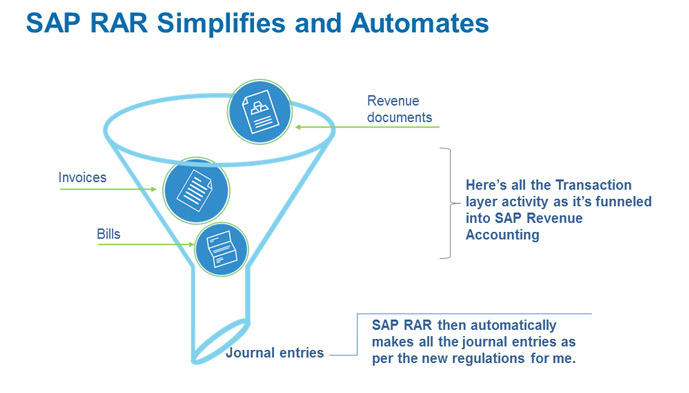 SAP RAR simplifies and automates even complex revenue accounting processes. SAP’s RAR Solution automates and simplifies revenue accounting for companies large and small and is the solution that was designed with the latest Revenue Recognition Standards in mind. SAP RAR 1.2 is the only solution to support multiple standards. Bramasol is a co-innovation partner and part of the ramp-up and Early Customer Adoption (ECA) programs participating in over a dozen projects and can assist your firm in navigating the new standards and preparing for them. Bramasol works with you to evaluate the system changes needed under the new regulations, determine how significant they will be going forward, and lay out a path toward implementation with an emphasis on the impact to the SAP system. As a partner in the SAP’s revenue recognition software development program, we are a certified partner for the SAP Revenue Accounting and Reporting (RAR) latest release and an active SAP Ramp-Up (Early Adopter) program leader. Our methodology and approach will help ensure that you can meet the upcoming changes to the standards.